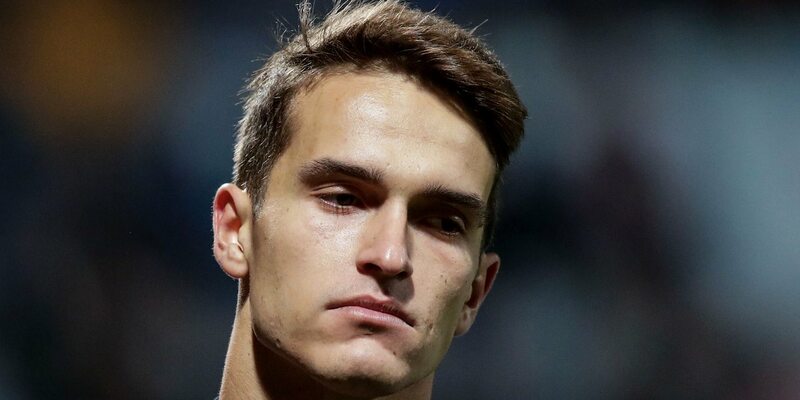 Denis Suarez did not make the bench for last night’s 1-0 win over Watford, with his agent confirming stories that the midfielder is carrying an injury. Reports emerged this week from a publication we refuse to link to that the on-loan Barcelona man has been struggling with a groin problem, and this explains his lack of playing time since his arrival from Catalunya in January. The 25 year old hasn’t started a game, playing just 95 minutes across 6 substitute appearances and doing little in that time to suggest he’s pressing for more regular first team action. Now, via Sport Witness, comes news from the player’s agent who told the Catalan press of his client’s injury woes. “He has two years left at Barcelona,” said Felix Guende. “This year in England hasn’t been his best. He’s played little and hasn’t been able to find a rhythm. As for what his future might hold, he suggested the player was open to a move away from Barcelona, but with Arsenal resolute in January that no purchase clause be inserted into the loan deal, it’s very unlikely to be to us. Not least because we have more pressing matters when it comes to our transfer business. Perhaps Suarez can make a contribution between now and the end of the season as we continue our chase for a top four spot and a European trophy. Seems like a good lad hopefully makes it good somewhere, doesn’t look like it will be us. Yikes, if he’s got muscle fatigue at this point, that doesn’t bode well, unless they’re talking about a strain or something. Lacks a penalty kick to reach Kim’s level though. I think we plan every January to find an injured player that we can pick up cheaply and not use. wow first time i read this joke. HiHIhahAhOho. As has been said before, Kim was a solid player and excellent at set pieces. The only mistake we made with him was not using him more. Let’s hope he recovers in time to score that winning penalty shootout against Chelsea in the Europa League final. Not sure my heart could hold out for that. I would be happy for him to come off the bench and slot in our 12th in the 65th minute, in a 18-0 destruction which causes all Chelsea fans to spontaneously combust at the final whistle. Well forgot about him, after Emery started playing Ramsey and Ozil! Spilt milk and all but I don’t get how our hierarchy decided to let go of Ramsey, while paying for a number players that we would want to get rid of. Not talking about just Suraze here but a few others. I think Emery, despite his knowledge of out squad prior to taking over, made a mistake of trying to play Ramsey in a more advanced role in the initial games. Ramsey is playing much better in the deeper role, although he knows he is leaving! There is a lot of surgery for Emery to complete. He needs support from a full time and qualified technical director, so he is not in the same position of having to do it all like Wenger. Similarly, he needs the financial backing as well. Do you get what a 400k per week contract would do to the rest of the squad morale? I doubt that’s what Arsenal offered Ramsey so the point you’re trying to make doesn’t land. And he needs a wise technical director as well. Nowadays this role is probably more important than the head coach. Overmars from Ajax could be the example. Didn’t we have one of those? Was it Sven something? I wonder what happened with him. Sven wasn’t a technical director, although he’s now gone to Stuttgart to take on that role. At the time he left he wasn’t but it was the role he was, by all accounts, expecting to move into. Apparently, the technical director has to be a Spaniard according to Raul Sanllehi LOL. Just kidding. I think Raul Sanllehi should after Paul Mitchell, the guy who found Dele Alli and Sadio Mane. He has experience in the Premier League before. Sounds like the end to a short and pretty senseless loan move, all in all. Given he’s had so few opportunities, when he was actually fit that is, I don’t know how much Emery really wanted him back in January. Anyway, let’s wish Suarez good luck when he leaves in a few weeks, and move on. Makes sense having squad depth. Sometimes things just go wrong. It was a low risk move and Arsenal did well to force their hand in the negotiations to prevent a permanent move, so well done to the negotiation team for one-upping Barcelona. Maybe it’s just me, but I always feel bad for players like him who get passed around without ever finding a club that values them. I know, I know, he’s paid handsomely to sit on the bench, but it must be soul sucking to be such an afterthought at the past 2 clubs he’s been at. Aside from being played handsomely, he and his agent make the final decision where to go – I’m sure Barca was not the only club interested in him when he signed for them. Players and their agents need to make smart decisions including where they believe they will be valued and played. That said, yes, of course it’s hard to turn down Barcelona. A player of ambition has a go at it. What’s More important is at this point he makes the wise choice of a club where he can get back on track and play regularly. These days he kinda feels like a LANS (Like A Non Signing). Gotta hand it to Barca, they did well to fob an injured player over to us to pay his wages for the remainder of the season. Nah, I think we won the negotiation battle by forcing them to give him a new contract just so they could loan him to us. Give the Arsenal dept credit when it’s due. He wasn’t injured when he came. I don’t think he has doen enough to convince the manager. Its difficult because he is on “PANIC LOAN” (Thanks Mslintat) and he has to make a quick impression settling in to a difficult league. He has been careful with his appearances but you feel he needs to make a much stronger and asserted impression which itself carries risk. He does carry some good requisites in his flexibility being able to cover deeper midfield and a wing role. BUT he isn’t an out and out winger and although he has shown dribbling ability at Barca, some how he seems to have lost his way (or say confidence) a little. We do lack a player in deeper midfield who can hold the ball at feet in the way Santi (and before him the injury ridden Diaby and before him Viera) use to provide. We have not had that ability to exert a certain calm in possession in midfield for a while or the ability to carry from deep. Torreira certainly isn’t it and Guendouzi did make a good effort carrying the ball yesterday from deep but much of it was as much measure of luck then design. We’ve only played him on his strong side once (left side, he’s better then Iwobi) and he wasn’t even match fit when he arrived. When he finally reached match fitness, he was unlucky and got injured. Mislintat had literally nothing to do with the loan, it was all Raul. I’d take Suarez if the price was fair (something below £15 million) but Barcelona will never sell him to us for cheap because we’re a top 6 premier league side. Emery’s first flop i guess. Sven Mislintat did want to spend huge to sign Nicolas Pepe first but Emery unmasked greedy Kroenke to tell everyone that the club was currently broke. Sven left and Emery told Raul Sanllehi that he wanted Denis Suarez. Wise decision from Sanllehi for not falling into “Barcelona trap”. He didn’t insert any purchase clause. But it seems that we do need a sporting director. A VERY GOOD ONE! Don’t rush promoting Steve Morrow please! Paul Mitchell the guy who found Dele Alli or Luis Campos the guy who beat oiled-PSG should be the name! For whatever reason/reasons this is becoming the loan from Hell – for both parties involved. I suspect that Emery may have been pressured into taking Suarez, either because others at the club were pushing for it or because other targets turned us down and we needed reinforcements quickly. Whatever the background, the sooner it’s ended – for the club and player – the better. Come Summer, we need to wish Suarez well and goodbye, and try not to repeat this again. I very much doubt Emery was pressured into taking him. Suarez actually played for Emery at Sevilla, so if Emery didn’t rate/like him, I’m sure the club wouldn’t have foisted him on Emery. It’s a shame for the player that it hasn’t worked out, but it’s no skin off our nose. He was bought as cheap cover, which it turned out we didn’t really need in the end as we didn’t get many injuries in midfield (except for him). not fair. otherwise, why did we have so many average players during the Bendtner era? In 1993 I watched Arsenal vs Manu at Ellis Park in Johannesburg, South Africa in an off-season game. I was in a private company box and I was the only Arsenal supporter in the box, the rest were all ManU supporters. I had a huge Arsenal flag that I hung over the front of the box, which sported the company name, so I was not popular. A local ref (Ian McCleod I think), awarded us 2 penalties, which Ian Wright converted for us to win 2 nil, but the icing on the cake was Brian Robson getting sent off for the only time in his entire career. I fell off my chair laughing so I became even more of a “persona non grata” than I already was at that point. I wasn’t invited to any other events after that by that particular company.